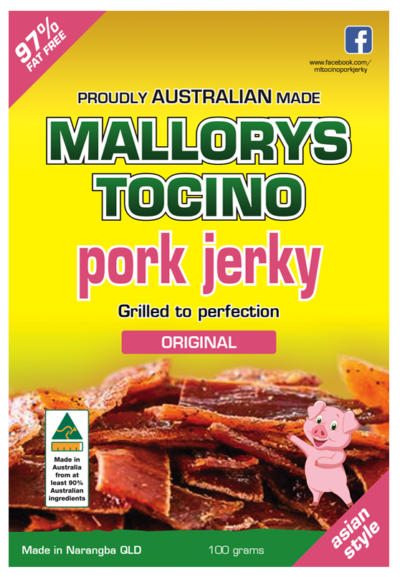 100g Pack Original Pork Jerky. 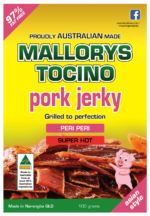 This is the original traditional, lightly spiced, tocino/tapa pork jerky. This is one that even children will enjoy. 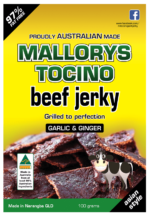 Special: Buy 10 or more packs of 100g jerky, to receive free postage. Can be a variety of 100g flavours.